Sliding patio doors are an excellent addition to a home because they give excellent access to the outside, provide a really good external view and bring more natural light into the home. But what about the costs of sliding patio doors? 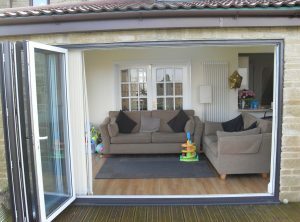 It’s worthwhile giving a bit of thought to what you want before you rush out and buy the first set of doors you see, some design elements add cost, but are not really vital, but a cheap sliding patio door might not have all the essential features as standard. Toughened glass – this is essential for safety and to meet building regulations in the UK. Internal beading – this stops burglars removing the glass from the outside. Double glazing – as a minimum standard C-rated double glazed units should be used.